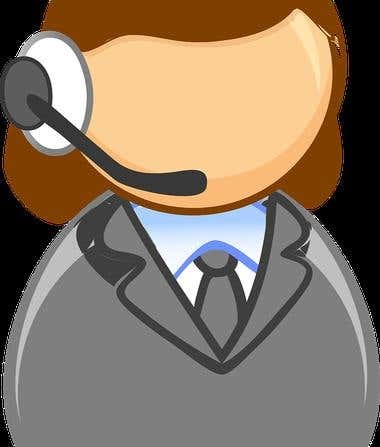 If you choose to become a virtual assistant, expect to handle administrative, creative and even technical tasks for your clients. You would be expected to do all this from your home via an online platform. Virtual assistant jobs are available and plentiful. This can be attributed to the need for professionals to lower their own operational costs by outsourcing. Unfortunately, the supply of labor in this sector is also quite high. If you work as a virtual assistant or intend to be one, you need to make sure that you have the necessary skills and knowledge to stand out. Here are some tips on how to beat the competition. While it's very easy for you to think of yourself as an employee if you work as a virtual assistant, you should remember that you are not. As a virtual assistant, you are an independent contractor—an independent business entity. You need to change your mindset and think of yourself as a brand or your own company. Every single action you take can either build or break this brand. Once you start to think yourself as brand, you will take yourself more seriously. Knowing that your actions will reflect on you and affect your bottom line will keep you focused on building your business. A virtual assistant should be a sort of jack of all trades. Since there are all sorts of tasks that can fall under virtual assistant territory, you may end up being required by your clients to perform tasks that you may not have experience with yet. Here is the secret: do not always say no to tasks that require new skills. First try to acquire the skills you need and attempt the task before saying no. The more skills you have, the more types of work you can do. This will boost your reputation and raise your value among clients who want to outsource varied tasks to only one assistant. Some clients prefer communicating via email or chat. Others prefer a face-to-face conversation online via video-conferencing. There are also other clients who prefer to communicate via telephone. So what does this mean for you? Quite simply, you need to have multiple means of communicating with your clients. You also need to become very comfortable with each communication channel. By opening up multiple platforms for communicating with your clients, you would be in a better position to fulfill their needs. A happy customer is always good for business. In addition, by having the ability to adapt to the communication methods of your client, you will be able to apply for more varied jobs from all over the world and thus expand your client portfolio. When a client asks you to do something, always go the extra mile. For example, if a client asks you to acquire a list of potential leads, you can get them and provide a list segmented based on what you think would appeal to your client. Also, be willing to make a few edits if your clients ask you to—without asking for an additional fee. Going the extra mile—without being a doormat—will also portray you as a very helpful virtual assistant. This would keep you in the mind of your clients whenever they are asked to recommend a virtual assistant they know. You can earn a very decent living as a virtual assistant. All you have to do is attract the right caliber of clients and keep them coming. However, doing this requires a little more smarts and effort to beat the competition. Dare to be different, be adaptable, be willing to learn, and see how much of a difference these can make.